Alastair Campbell is Marmite. Ok, he’s not literally a malt-based food product. But, like Marmite, he is largely either loved or loathed. Doesn’t seem to be much middle-ground with him. Personally, I’ve never subscribed to the loathed view. I admired his professionalisation of Labour communications, his wrangling of the oft-unruly media, and his passion and loyalty. Those last two qualities are a rare sight in British professional politics. I was disappointed when he decided to step out of front-line politics. Obviously, he didn’t retire when he left Downing Street. Like any good political nerd Labour activist, I read The Blair Years with great interest and was lucky enough to see AC on his speaking tour when he was at South Shields. My girlfriend has had Leukemia three times, and Leukemia and Lymphoma Research is a charity that’s close to my heart. So discovering AC using his enthusiasm and passion to help them out delighted me. Not busy enough with all that, he wrote his first novel, All In The Mind, to help raise awareness of mental health issues. There was an agenda behind the plot and characterisation. But Maya, his latest tome, has no agenda behind it. It’s just a tale told for the sake of a great story. I’ve never written a book review, so I decided to read some professionals. Big mistake. The first one made a contrived and hackneyed reference to The Blair Years being AC’s first work of fiction, which fails by being both untrue and not funny. I tried another. Bigger mistake. This one decided to say that Maya is fiction on the surface, but actually betrayed a lot about the relationship between AC and Tony Blair. Sounds mildly feasible, unless you’ve, you know, read the book or something. Then you realise they’re talking total toss. So what’s it all about? It’s the story of Maya Lowe, a west London girl who’s made it as a Hollywood megastar, and the people who surround her. Told from the viewpoint of Steve Watkins, her best friend since schooldays, AC paints a picture of what fame is like in today’s world of tabloid journalism and rolling media. Steve becomes more and more obsessed with Maya’s life and inserts himself as her protector, until he starts misusing intelligence gathered by private investigators and gets further and further out of his depth. The idea of the plot is a good one. An exploration of the impacts of fame in the media’s celeb-obsessed world. The pacing is good and is genuinely a page-turner which keeps you going to the end. And, though the ending does seem inevitable, it’s certainly not written to be predictable. Campbell creates enough twists, turns, and developments to keep any reader happy to the last page. The main characters are well-developed and rounded enough to suspend disbelief. The only problem I had is that I didn’t particularly like or sympathise with Steve. But maybe we’re not meant to like a man like him as his life descends ever more rapidly into chaos and disaster. 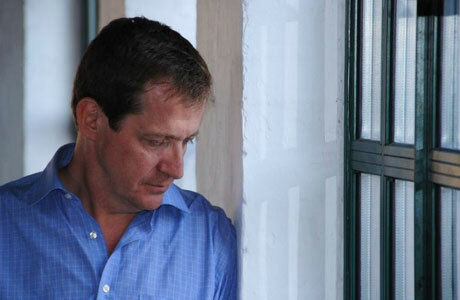 I certainly didn’t see any resemblance between Steve Watkins and Alastair Campbell. As hard as I looked at the relationship between Steve and Maya, I just couldn’t see Campbell and Blair in there, try as I might. If there is a glimpse into AC’s world and character, I think it comes when we see Maya’s agent managing the media’s coverage of a big news event to brilliant effect. I couldn’t help but think of Campbell’s days at number ten at that point. There is also a very funny dialogue between a newsreader and journalist-on-the-scene which I thought had to be an exaggeration for comedic effect. It’s not. I checked. I watched a few different events being reported on Sky News and BBC 24 and Campbell has not caricatured them at all. He’s got it spot on, which should be a little worrying for news editors and fans alike. As I’m just a normal member of the reading public, I doubt I’ll have a quote on the paperback, but I will say that if you enjoy fiction, and thrillers especially, then Maya is a definite must-read . And if you’re going to buy it, then you should go here to do it. And while you’re there, buy a copy of The Blair Years signed by AC himself and raise a few quid for the Labour party.